Flaktürme - Viktória G Duda, Ph.D.
What to Do with our Monstrous Defenses? One day, with my spiritual friend Hayashi, we decided to go on another journey into the inner worlds to discover what to do with the inner critique and self-saboteur. All of us who have been hurt in the past (and who hasn't? 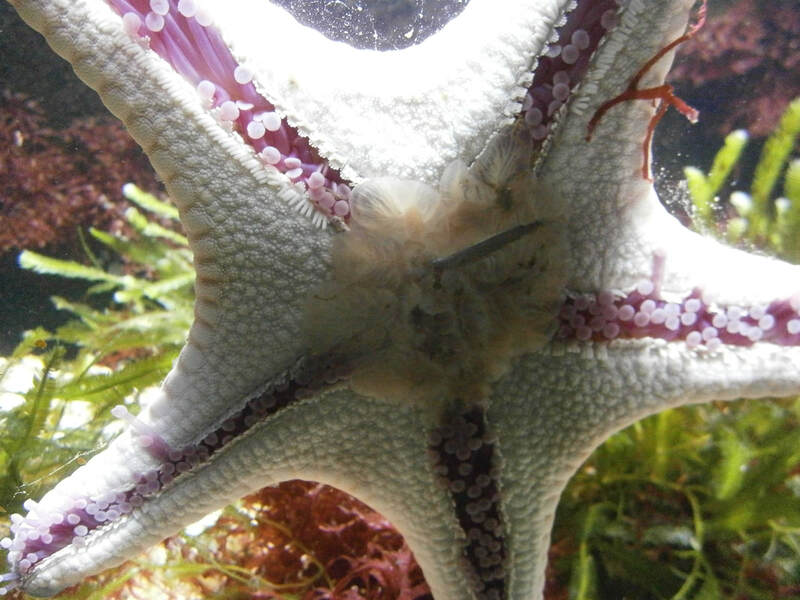 ), are likely to have developed some powerful defense mechanisms. For example, those of us who are highly sensitive and/or empaths, but grew up without a supportive environment, may have "hardened up," instead of developing and putting those sensitivities to good use. We may have become overly self-critical, elusive or end up sabotaging our success. What once had an important function, has become a burden. During the inner journey we took, I unexpectedly found myself in Augarten, Vienna - a park where I have not been in at least a decade, but where I used to go a lot when I was a student at the University of Vienna. This Augarten is a curious place: it is a beautiful baroque park from the golden days of the Austro-Hungarian Empire, but like a curse in a fairy-tale garden, in its midst stand those gigantic towers, which were built in WWII as a sort of above-the-ground shooting bunker. Massive. Horrendous. Indestructible. 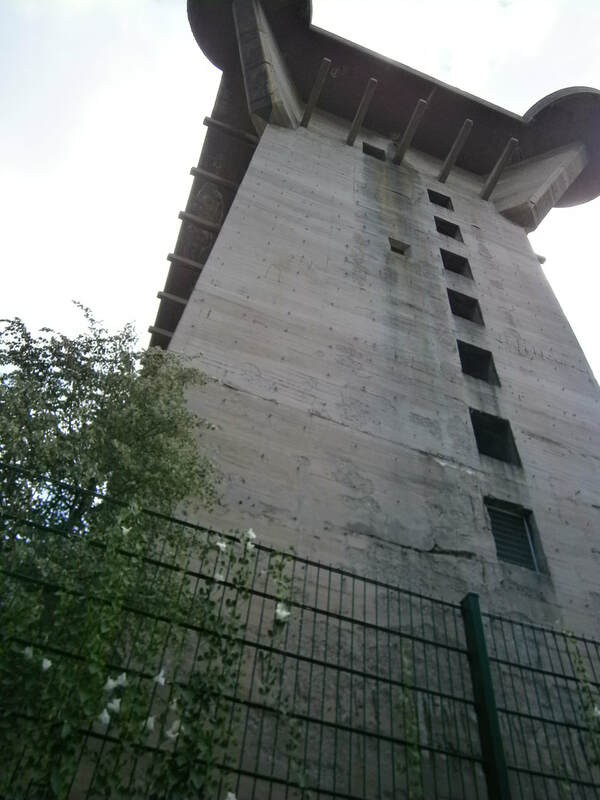 One of the Flak Towers (German: Flaktürme) in Vienna, which were constructed as anti-aircraft gun blockhouse towers during the dark times of the Nazi regime. Why am I seeing this? - I asked myself in our meditation. Soon enough though, I started to feel into the symbolism. Of course! Within the psyche there are self-protection mechanisms which are so strongly built that they might be impossible or unreasonably hazardous to remove. The situation is the same as with those towers: the war (whatever form it took in our lives) may be over, but the defenses we built are impossible to remove, but also impossible to ignore in their gigantic ugliness. Fate had it that a couple of days after this visionary encounter with Augarten, I was actually heading to Vienna to meet friends: some new friends from the consciousness research community, as well as some old friends from school. So, I decided to check out the towers (in German they are called "Flaktürme") to find out what else can learn about these structures. 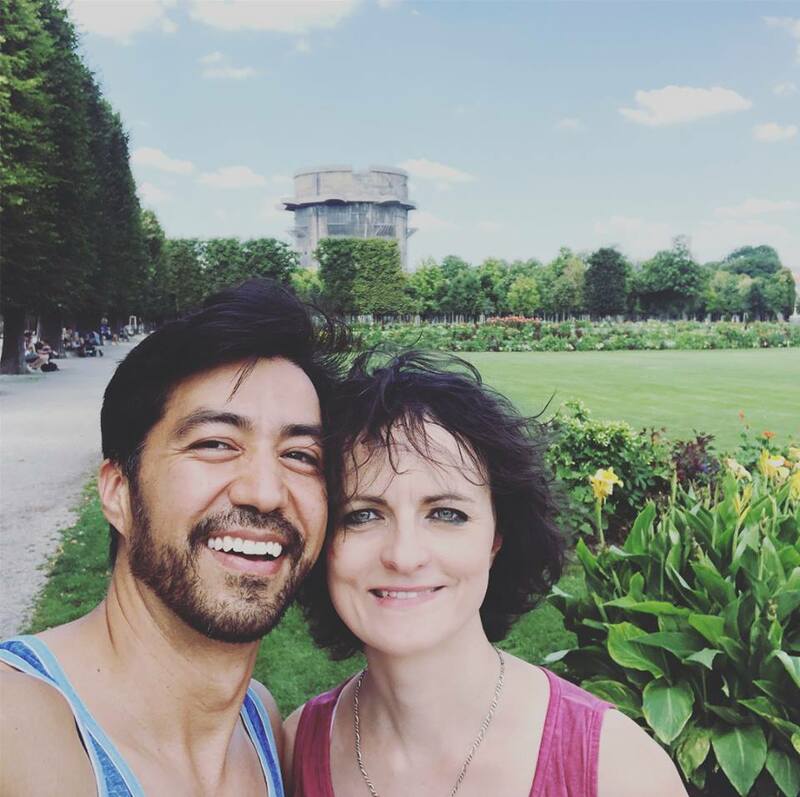 In Augarten with my friend Noe Muniz, who helped me with his high-level of personal awareness to feel my way through the symbolism of the towers. ​The beauty of metaphors is that they point beyond what you already know. So, if you figure out a solution within a metaphor, you find the solution to the actual problem. I was hoping: if I can find a solution to these towers in the city of Vienna, I might learn something about what we can do with our outdated defense mechanisms. My old school-friend Andrea, who is not just a medical doctor today, but a long-term seeker of inner and outer wisdom, pointed me in the right direction. Sitting with her at our favorite Café Einstein, I told her about my current fascination with the "Flaktürme." She immediately said that "they did a really good job with the one on Mariahilferstraße." I didn't know that there was one in the middle of the city also! The next day, I set out to find it. What I discovered blew my mind! There, in the middle of the city, they turned this monster into a gigantic aquarium. 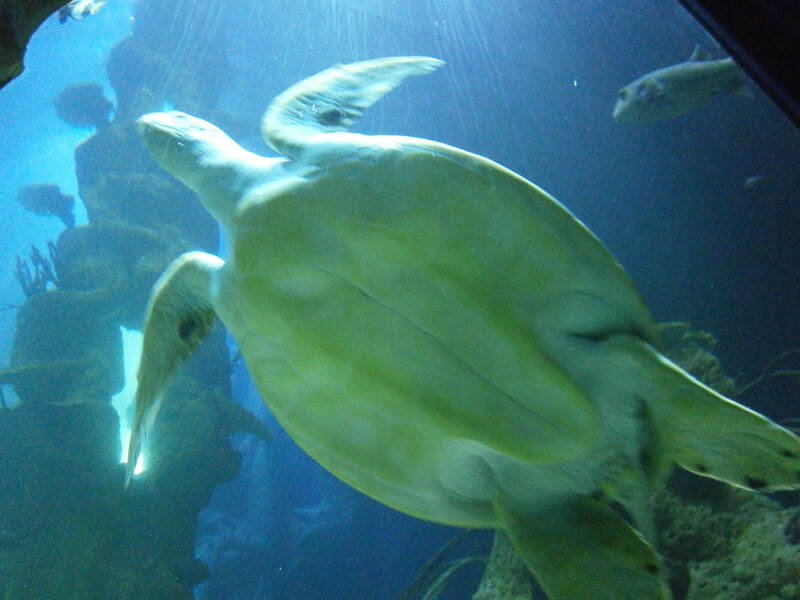 It is full of fish, turtles and other sea creatures, plus it has an artificial jungle where little monkeys are freely roaming among the visitors, while bets and birds are flying above their heads. Even with my usual disapproval against zoos, I had to admit that there was something special about this place. Once dedicated to the war machinery, the tower now was flooded with life - which definitely seems like a move into the right direction for humanity. 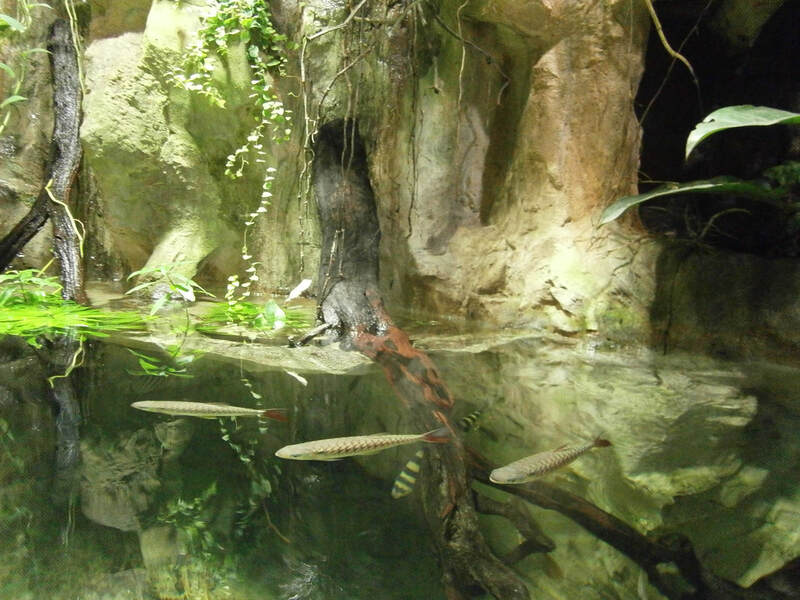 Artificial jungle and lake in the old war-tower. What if we stop seeing our defense mechanisms, our once-upon-a-time associations with the shadow as something we need to get rid of, and instead fill it with life? 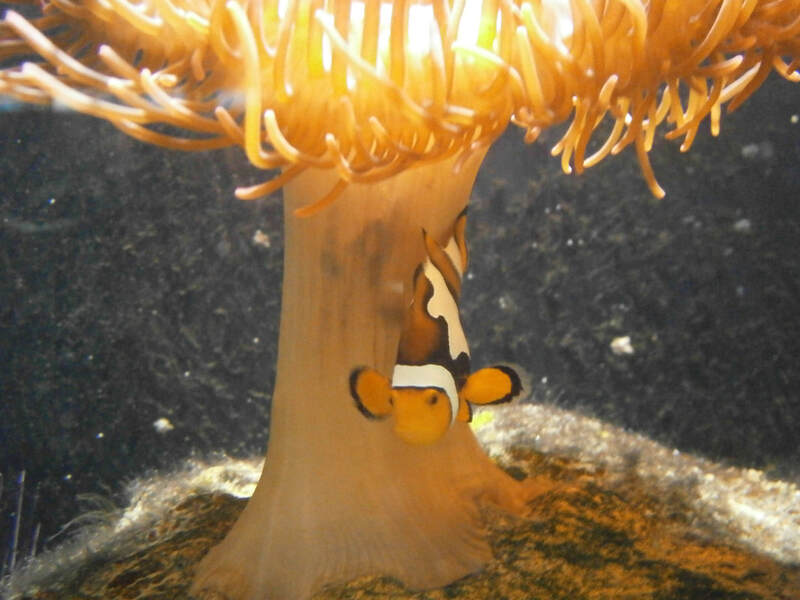 What if ... instead of trying to fix the past, we flood it with new life, with emotions (symbolized by the fish), playfulness of the monkeys and wisdom of the turtles? What if we learn to put to use, whatever we got in the present moment, instead of trying to get rid of it or look away? After all, we built those defenses for a good reason. While they might not be useful within their original context, perhaps they can be reframed for something else.